Explore101 is the website companion to 101 Things to See & Do… , a new (and expanding) series of pictorially rich travel guides. As the title suggests, the books highlight the must-see attractions for each destination. 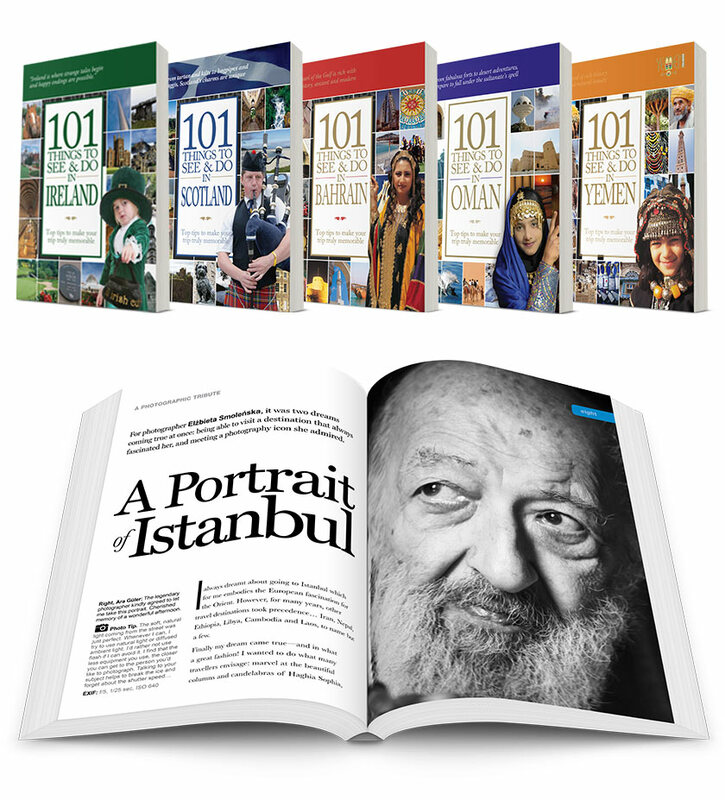 Published by 101 Guides Publicity & Advertising in association with A Type of Magic, these pocket-sized guides feature original photography accompanied by short text commentary from a team of travel writers who make their picks after touring the region. The books are printed on glossy bright white paper to show the photographs in their best light. Unlike other travel guides, these books—typically around 200 pages each—are not packed with the minutiae of life in the city. 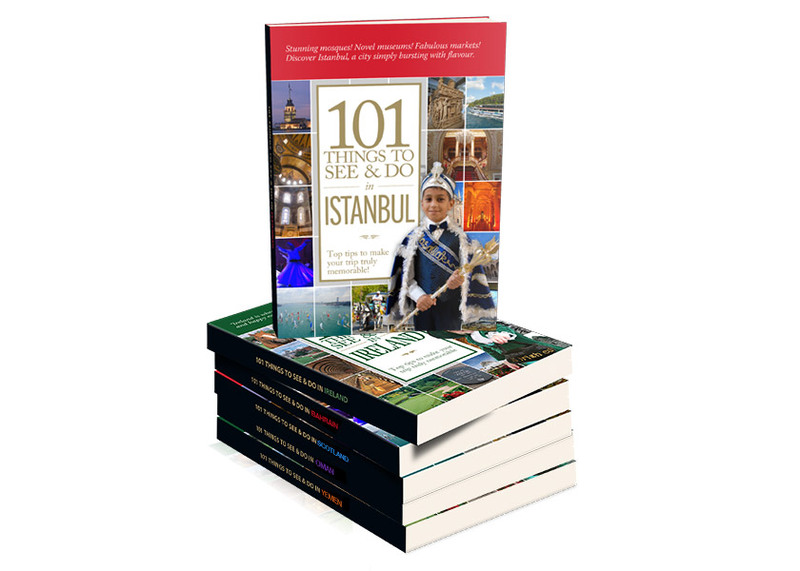 Rather, they feature a few well-written travel articles, the selected 101 things to see and do, and essential information like consulates, important phone numbers and a selection of local words and phrases that a visitor might need to use. The rich imagery makes the guide a valuable keepsake, something to leaf through and bring back memories long after the visit is complete. Seven destinations have been covered so far: Bahrain, Chios (Greece), Ireland, Istanbul (Turkey), Oman, Scotland and Yemen. Guides to Dubai and Jordan are currently in the planning stages. Three of the books (Bahrain, Chios and Istanbul) have been converted to flipbooks, and you can view them right here on our site.